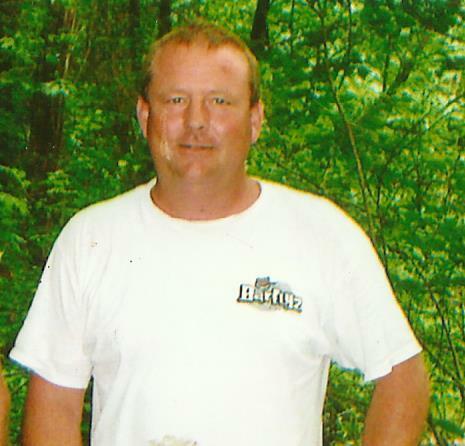 Melvin “Troy” Knott II, 49, of Rough Creek Va, died unexpectedly on August 1, 2017. He was born on August 7, 1967 to Melvin T. and Louise Baldwin Knott. He was a 1985 graduate of Randolph Henry High School and a lifetime member of Rough Creek Presbyterian Church. He loved spending time with family and friends and he also enjoyed anything that had to do with the great outdoors. He was an avid hunter and fisherman. He will always be remembered by those who knew him for his good heart, humorous nature, and loyalty to his family and friends. He was preceded in death by both parents and brother, Wiley “Hunter” Knott. He is survived by his wife, Lisa; stepdaughter, Milissa Hatch (John); three grandchildren Johnathan “Little Buddy”, Parker and Elizabeth. He is also survived by his siblings, Rita Metcalf (Jeff), Rhonda Walker (Paul), Johnnie Knott (Audrey) and Stacy Strickland (Andy); three aunts June Baldwin Love, Janice Baldwin, both of Phenix and Barbara Davis of Hopewell. He is also survived by his nieces and nephews, Brittany, Emily, Robert, Randy, Magin, Jackson, Hunter, Drew, Carter, and special cousin, Jennifer Williams. A funeral service will be held at 11 a.m., Saturday, August 5, 2017, in Rough Creek Presbyterian Church with interment to follow in the church cemetery, Phenix, VA. The family will receive friends at the Browning-Duffer Funeral Home in Keysville, VA, on Friday, August 4, 2017, from 7 to 8:30 p.m. The Browning-Duffer Funeral Home in Keysville, VA, is serving the family. Thoughts and prayers for all your family and friends. God bless you during this difficult time. My prayers are with the family and friends who knew Troy. I AM SO SORRY FOR HIS LOSS. HE WAS TOO YOUNG TO DIE. GOD BLESS HIM AND HIS FAMILY/ MAY HE FOREVER REST IN PEACE……YOU ARE ALL IN MY PRAYERS. WE ARE SO SORRY FOR HIS LOSS, YOU ARE IN OUR HEARTS AND PRAYERS. MAY HE FOREVER REST IN PEACE. My deepest condolences to you and your family. Praying for you all. So very sorry to hear about Troy. My love and prayers to all the family! May God be with you all during this time! Love and prayers to his family and friends. May God grand you comfort and peace during this difficult time. My thoughts and prayers are with Troy’s family and friends in this time of loss. Troy was just a great all around guy. He would always greet you with a smile. I really enjoyed the time I spent working with Troy. He was just a person that you couldn’t help liking. He could always keep you laughing. May God bless the family. I know Troy is with our Savior the Lord Jesus Christ.